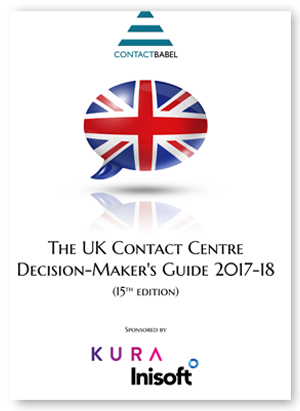 ContactBabel introduces the "UK Contact Centre Decision-Makers' Guide (2017/18 - 15th edition)" is the major annual report studying the performance, operations, technology and HR aspects of UK contact centre operations. Taking a sample of the industry, a detailed structured questionnaire was answered by 218 contact centre managers and directors between June and September 2017. Analysis of the results was carried out in September & October 2017.